We welcome all dogs, but please keep them on their leads at all times, so that the wildlife is not disturbed. The Bluebell Barn where food is served is ‘dog friendly’. Outside the Bluebell Barn we have bowls of fresh water and rings were your dog can be tied if needed. At the entrance to Beatons Wood we have a self-service ‘Dog Glove Dispenser’ for those who might have forgotten to bring their own. We have litter bins to use for ‘bag it & bin it’ dog faeces in the Car Park by the Visitor Map, opposite the Animal Petting Area, entrance to Beatons Wood, one each at the Upper Pond and Lower Pond and also at Parkwood Farm. We ask you to please be vigilant, as dog faeces may contain the parasite Neospara caninium, which is known to cause abortion in cattle. 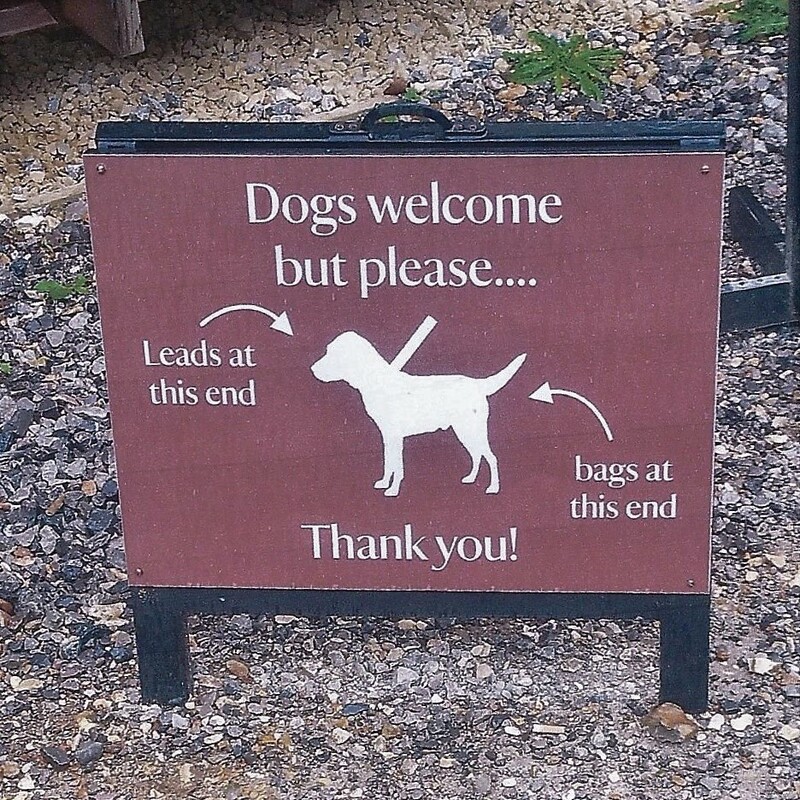 We found this rather helpful sign at a National Trust property.